Some years ago, when David Anderson was a late adolescent trying to figure out what he was doing in college, he had one of life’s sudden “aha” moments. Soon afterward, Anderson was back home heading for the woodshop in which he had spent many pleasurable hours as a boy building things; the same shop his father had constructed to nurture his woodworking hobby. 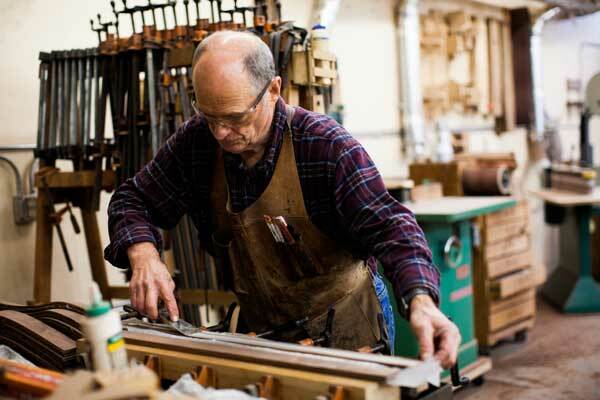 After earning an industrial education degree in 1977 at Oregon State University, Anderson began a career teaching primarily woodworking that lasted for 30 years. While thoroughly enjoying teaching, he found life more fulfilling through developing his design and woodworking skill sets on the side. His personal woodworking also inspired his students. “I designed and built commissioned pieces for folks on the weekends and during the summer. I found it to be an addictive passion partially fueled by the heightened interest and availability of information on crafts that began during the mid-1970s,” he says. Today, Anderson is retired from teaching, but his passion continues unabated for woodworking and creating designs that express what’s in his heart. Unlike some woodworkers who make a living, building things that other people want, Anderson designs and makes things that he feels compelled to make. He was able to do this quite successfully when he made his living as a teacher because it freed him to pursue his own unique designs and creations. Over the years he’s made many distinctive pieces of furniture. Presently, though, Anderson’s focus is dining room furniture. While fully functional, his dining sets can also be described as poetic and pleasing to the eye. Consider his dining chairs, for instance. The front legs flow gracefully from the floor to join the back legs at the crest. This enables each side of his chairs to form a distinctive wishbone design. Anderson’s chairs are strong and unusually comfortable. People frequently comment that they enjoy sitting in them because – unlike most dining chairs – they provide substantial lumbar support. Most of Anderson’s creations are fashioned out of black walnut, his wood of choice. But he’s also worked with oak, ash, and even Douglas-fir. He discovered early on that anyone seriously interested in woodworking has to learn that wood moves as the humidity changes. He knows that when he makes a solid wood dining table and puts it in a customer’s home, it’s going to expand and contract with the seasons. So creating designs that respect that property and making sure the wood is at the proper moisture level during construction is critical. He recalls the time back in the ‘70s when one of his earliest commission pieces was a dining table. “The classic error on a dining table is to glue boards together edge to edge and then put a piece across the end with the grain running at 90°. The length of the board that goes across the end won’t change. But the width of the other boards will. 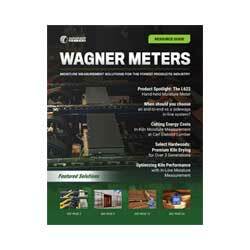 “I have a Wagner pinless meter. It’s my go-to tool and the first thing I grab when I’m handling lumber. It’s very easy-to-use. 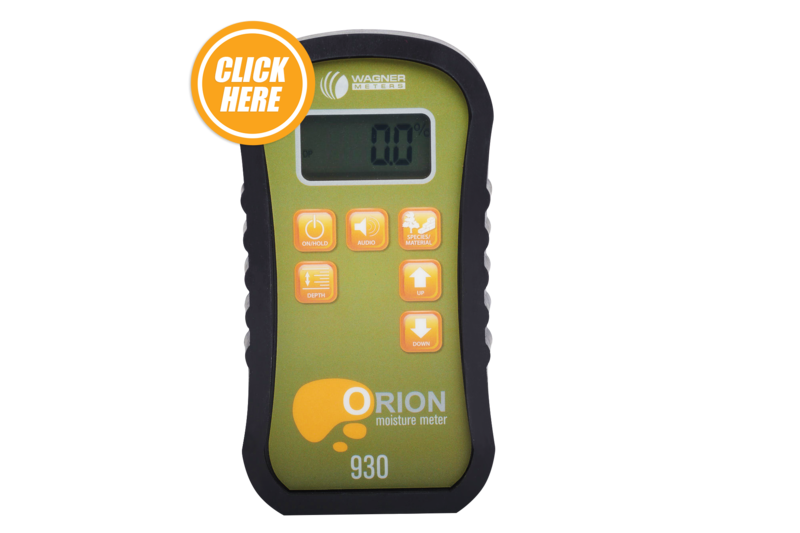 You just slide it across the surface and quickly get an average reading for the board’s moisture content. For that reason, he believes a moisture meter is critical when working with wood. “Another plus is you never have to worry about putting holes in the wood. That’s a clear advantage,” he says. Besides crafting furniture in his new, 2,400-square foot woodshop, Anderson also operates a sawmill and a lumber kiln. He normally works alone, but calls on a few friends to help him when he runs the mill. Anderson says he builds furniture full-time to supplement his retirement, but he also does it for the sheer joy it brings him. He savors the time working in his shop. And because he alone is responsible for every stage of the production, he says he can keep his standards where he wants them.